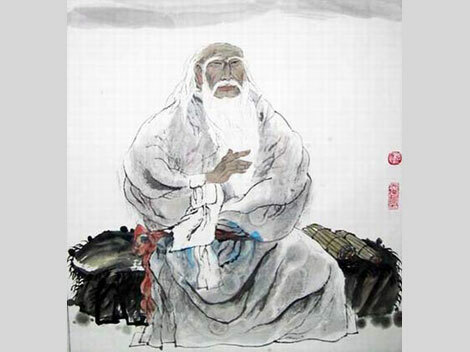 Chuang Tzu’s favorite subjects are the useless weeds and humble grasses, for these at least escape the mansions of the “robber barons” (aka. Bourgeois swine!) and are lowly enough to be left to their natural peace and harmony. To the age gone there’s no road back. The sage succeeds in it. The sage survives in it. The sympathy of anarchists should ring with those final two lines. Those who understand the natural order are in danger. Their paths stray through meadows, fences in the way be damned! And the law is quick to beat that liberty out of them. Kill all the Injuns, the pagans and the wolves too. So, with this understanding of Chuang Tzu’s primary philosophy, let’s get into the meaning and relevance of some of his key passages. 1. Who Possesses the Possessor? 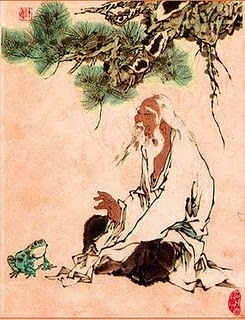 In this passage we have a very essential Taoist sentiment: that identity is a concept which, whether applied to oneself or any of the myriad things in the world, is a creator of illusory “things.” Anarcho-primitivists also share this idea, though the spontaneous natural consciousness which flows from this understanding seems unimportant to them. Here we traverse into a psychedelic realm where anarcho-primitivism and Daoism meet. And the question arises: you can tear down buildings, you can tear down infrastructure, you can tear down riot fences and social institutions if you have the infinite patience for it. But how, on earth, do you tear down abstract psychological functions like reification, number, identity? The source of cities is not buildings; they begin in the mind, in the presumptions and delusions of agrarian society. These delusions stem most fundamentally from the perception of a “self” that is not a transitory phenomena resulting from the restless movements of the cosmos and their reflection on earth, but rather sees “self” as the fundamental root of being, and what terror to look beyond into Nothingness! Death thus appears as the Ultimate, rather than the inevitable; a black chasm from which there is no escape rather than a result of the eternal process through which birth and death alike are not final and definite, but are rather the fruits and flowers of a tree destined to return to the soil and feed its roots. Rather than use a horse to show that ‘a horse is not a horse’ use what is not a horse. Heaven and earth are the one meaning, the ten thousand things are the one horse. That is, if someone insists (to give an example) that a horse is a horse (of course of course), you may reply, “Is it not also grass and wind?” Hopefully the message will be clear. With no grass to eat and no air to breathe, there is no horse. Without the word, “horse,” implanted in the mind, only the course of the universe appears, and the “horse” becomes unlimited, at one with the changing dusk and the valley floor. It’s only in the hearts of those who the universe has been unveiled in this way, beyond language, its conventions and contrivances, that the world will find some relief from its deluded toil. John Zerzan wrote, much to the point, “Considered as the paradigm of ideology, language must also be recognized as the determinant organizer of congnition. As the pioneer linguist Sapir noted, humans are very much at the mercy of language concerning what constitutes “social reality.” Another seminal anthropological linguist, Whorf, took this further to propose that language determines one’s entire way of life, including one’s thinking and all other forms of mental activity. To use language is to limit oneself to the modes of perception already inherent in that language. The fact that language is only form and yet molds everything goes to the core of what ideology is.” Beyond this ideology is liberation. Menders of their nature by vulgar learning, trying to recover what they originally were; muddlers of the desirers by vulgar thinking, trying to perfect their enlightenment—we may call them the blinkered and benighted people. In this last passage, where the writer harkens to a time where, “the four seasons were properly proportioned, the myriad creatures were unharmed, [and] all that lived escaped untimely death,” we see a grim foreshadowing of the inevitable course of advancing civilization. Ecological genocide; illness, war, and bodily imbalance claiming the lives spared by civilization’s discriminating scythe; the wholeness of life lost to those who seek to impose their “virtue” on the world… It’s damn near prophetic. The theme here is another common one in the Daoist texts: that the “saints and sages” who intend to promote “goodness” and “virtue” are only setting arbitrary bonds on human action, creating morality and purity where only spontaneous harmony once existed, they built the walls of conscience which eventually created criminals and sinners. Divided minds beget divided societies. This theme will be expanded on later when we consider the essays of the Primitivist. It was only after they started the fashion of reforming through government, and rinsed clean and broke up the unhewn, parted from the Way in order to become good, endangered the Power in order to act, that we relinquish our nature to follow after the heart. And it was only after hearts became perceptive and knowing, yet proved inadequate to settle the world, that we tacked culture on to them, added information to them. And it was only after culture obliterated substance, and information swamped the heart, that the people for the first time fell into perplexity and disorder, and had no means to return to the natural and essential in them and recover what they originally were. This passage highlights the oft-observed anarcho-primitivist contention that what we do to outer nature, we do to inner nature and vice versa. As John Zerzan aptly noted, “The word culture derives from the Latin cultura, referring to cultivation of the soil; that is, to the domestication of plants and animals—and of ourselves in the bargain. A restless spirit of innovation and anxiety has largely been with us ever since, as continually changing symbolic modes seek to fix what cannot be redressed without rejecting the symbolic and its estranged world.” Though thoughts, theories, knowledge, and wisdom may be stored up, ever trying to refine and redefine culture, they will always prove “inadequate to settle the world,” being as they are set apart from the indefinite course of nature, always missing the endless forest for the trees; the uncarved block for the hewn statue. Zerzan stated, “Culture has lead us to betray our own aboriginal spirit and wholeness, into an ever-worsening realm of synthetic, isolating, impoverishing estrangement.” Trapped in a mutating web of forms and symbols, culture becomes ever more elaborate alongside the modes of production and social organization to compensate for the simplicity and silence of the Tao which they have abandoned. Observed from this point of view, the age has abandoned the way, the Way has abandoned the age. When the age and the Way have abandoned each other, from where would men of the Way rise up in the age, from where would the age be resurrected by the Way? As long as there is no means for the Way to rise up in the age or the age to be resurrected by the Way, even if a sage is not living in mountain forests the Power in him has been obscured. The sentiment that strikes me while reading this passage is that of the hindered wanderer. Even when one finds the inspiration to “go rambling without a destination,” to set out into the world without thoughts of days to come or worries of nights past, the borders and contrivances of civilization will be there to meet them along the way. Highways, roads, fences, power lines… It is clear that without healing the world and returning it to its natural harmony, no one may fully escape the fragmentation of the earth without incorporating it into their spirit in the form of sorrow, grief, and rebellion. Even if these patterns are not part of our original nature, they are the only means to restore them. Reduce your expenditures, lessen your desires, and even unprovided you will have enough. May my lord ford the river and drift out over the ocean, gaze into the distance beyond sight of shores, go farther and farther in ignorance where there is an end. Those who come to see you off will all turn back from the shore. You will be far indeed from here. This is wise council if you ask me. Yi-lao is advising the Marquis to abandon his social constraints, those put on himself and others, in order to return to his original nature. The troubled mind of the Marquis is symptomatic of domesticated life, and is only amplified in the anxiety and unrest of modern industrial society. A deep dissatisfaction with life pervades our society, manifesting itself as nervous breakdowns, mass anxiety, depression, and ever-escalating personal isolation. Everyone seems to be asking, “Is this it?” Without the option of disappearing into obscurity, unraveling the bounds of cultural constraint and disappearing into nameless liberty as Yi-lao prescribes above, desperate victims of modern oppression resort to suicide, drug abuse, and the grizzly murderous outbursts that have become all too commonplace in order to escape from the confines of their symbolic lives. Hopefully, the spiritual escape route will open up more and more as the emptiness of modern life becomes more and more apparent, and the countryside become flooded with wanderers, fearless and thirsty for liberty, with the wind blowing through their hair, looking across a mountain range, ready to wander forever into the eternal “kingdom of the ultimate void.” Something of an underground railroad for modern drop outs already exists, and it will probably only grow as economic and social collapse close in, and the promise of progress becomes more and more blaringly empty. Furthermore, the refusal of the system, as noted above, is liberating for the oppressors and the oppressed alike. Here we simply see a sorrowful lament for simpler times gone forever (or at least lost to the new social order), an old man bemoaning the troubles to come (which, in China and across the world have been dubious and all-pervasive). This passage needs no explaining. It is voiced form the heart. 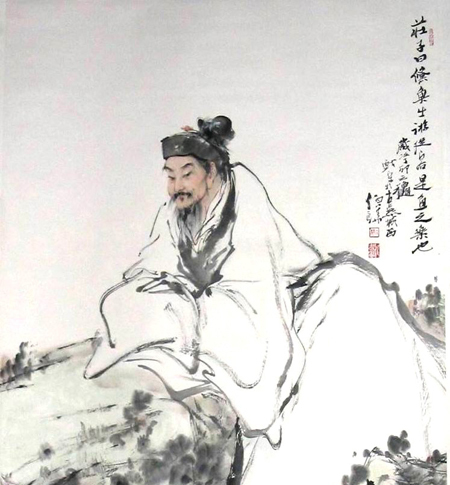 This entry was tagged anti civilization, anti-civ, chuang tzu, civil disobedience, dao, daoist, grahms, inner chapters, john zerzan, luddite, natural, nature, rambling, spirituality, tao, taoist, technology, wandering, zhuangzi. Bookmark the permalink.